* Verses that are part of a parallel set with another Gospel(s) are shown in red (red letter editions) or bold (black text editions). 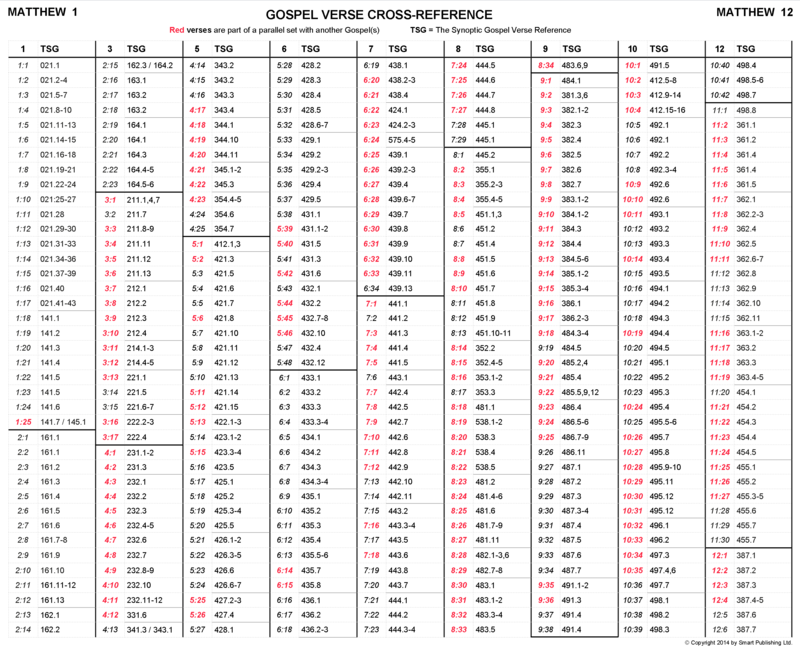 * Use the TSG Verse Reference to locate the verse in FIVE COLUMN, The Synoptic Gospel, and The Red Letter Gospel. * The parallel sets of verses that are included in each scene can also be viewed in The Synoptic Gospel Scene Contents, and in FIVE COLUMN.